Experienced communication specialists are needed to ensure the integrity of communication in a digital age while trust and transparency are vital, experts said this week as global leaders, government officials and media experts gathered in the UAE for the International Government Communication Forum (IGCF) 2019. The eighth annual ICGF had 70 speakers from 15 countries, including celebrated figures such as veteran American chat show host Larry King and filmmaker Richard Williams. In the session, 'Challenging the Lack of Capacity in an Era of Change Communication’, Sir Craig Oliver, the former director of politics and communication for David Cameron, and Dr Abdullah Al-Maghlouth, the Ministry of Media spokesman and director-general of the Centre for Government Communication in Saudi Arabia, tackled the importance of lifelong education in the field of communication. "The topic of government communication is complicated," said Al-Maghlouth. "We’ve seen great acceleration in communication, and some governments have not been able to catch up. "One of the key issues causing governments to lag behind is the fact that schools and universities are not offering courses in fields like specialised media projects, media monitoring, content creation, audience behaviour, or analytics, so departments do not have qualified employees to keep them ahead of the curve." When people reach out to government or other platforms and don’t get a quick response – or any response at all – they voice their frustration, and governments get defensive, he added. "This causes trust issues and a lack of transparency," he said. "Today we all have access to the right platforms, but we’re relying on automated monitoring when manual monitoring – using people with intellect – is much more reliable. "With this in mind, it’s absolutely vital that academics start playing a bigger role in qualifying people to manage the fast-changing pace of communication." Oliver emphasised Dr Al-Maghlouth’s point about governments being slow to change. "Governments are sometimes slow to communicate and can, therefore, be defined by constant communication on social media, which can make them defensive. As a government, it’s important to act fast, know your story and send positive communications out to balance negative communication. It’s also important to know that people react emotionally before they act rationally, which is often the opposite of how governments act." "Great communication needs long-term, strategic thought, and good people. If you don’t have someone who can help you frame your argument properly, you risk having the opposition, or someone else, frame your argument for you, and it’s very difficult to escape that," he pointed out. Speaking of acting fast, Al-Maghlouth said that "crisis control was as important as having fire extinguishers in a building", adding that governments should have "crisis control drills" so that they know what to do in case of an emergency. 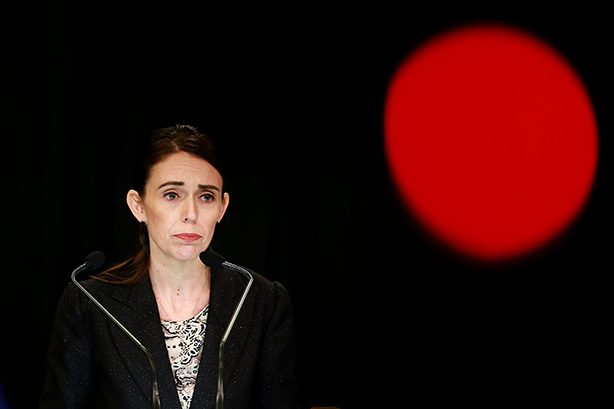 "In the recent attacks in New Zealand, and I hope nothing like that ever happens again, Jacinda Ardern was quick, emotional and direct. As a result, nobody blamed her for the attacks. Instead, people admired her," Al-Maghlouth said. "Governments need to let go of bureaucracy and embrace change and a faster pace. People are compassionate, and governments need to reflect that in their communications."